A NEW look KFC is destined for Springfield Parkway, near the 7/11 and McDonalds. 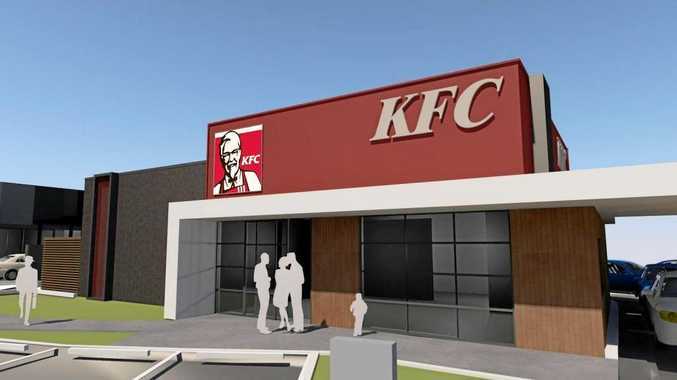 In a development application lodged to Ipswich City Council, documents show images of the proposed KFC. The lot is proposed to include fast food premises, local shops, a professional office, commercial premises, restaurant and medical centres and advertising. The proposed development will be situated at 53 Springfield Parkway, Springfield, leaving one large public utility site between it and the Springfield Tavern. "The proposed development is considered to be consistent with the general height, scale and siting outcomes for built form within a Neighbourhood Centre and the surrounding locality," the development application reads.